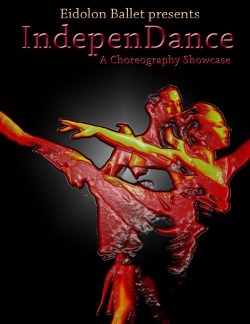 IndepenDance is a choreography showcase in a raw and intimate setting. Giving audience members the opportunity to get up close and personal with the work of several emerging and established choreographers and dance companies. Eidolon Ballet presents IndepenDance at New York City Center Studios, 130 West 56th Street, Studio 5 on June 2nd – 3rd at 8:00 p.m. Eidolon Ballet a contemporary dance company located in New York City, was established in 1999 to bring dancers, choreographers, and other artists together to create new and innovative works. Eidolon has accomplished just that with IndepenDance, A Choreography Showcase.